In recent years, cities across South Florida have implemented policies that ban certain plastic products. Delray Beach, Coral Gables and Fort Lauderdale are among the South Florida cities that have passed legislation to ban plastic straws and bags. 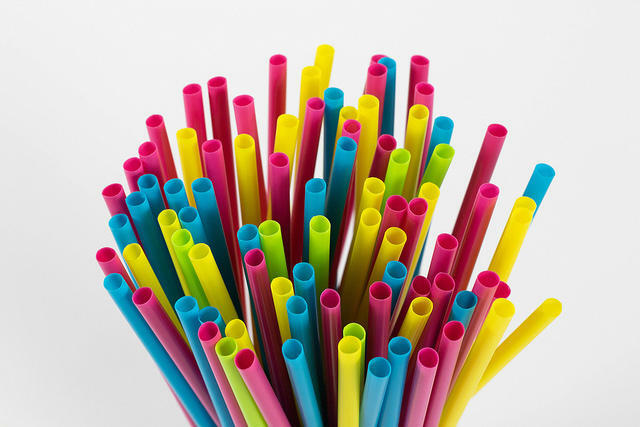 But now, state Senator Travis Hutson, a Republican, is seeking to pass a bill that would place a moratorium of five years on local governments interested in banning plastic straws. According to Hutson, more research needs to be conducted. WLRN Sundial recently asked listeners: Are you trying to live a plastic-free life? What changes have you made to accomplish living without plastics? Yes, all of that. At home, I'm using paper bags to store veggies in refrig. And I lecture workers at restaurants & stores that hand me plastics w/o even asking (& praise/ thank them when they dont).. & I carry bamboo utensils to avoid the plastic ones. Yet, there's more to do. Coral Gables Vice Mayor Vince Lago led the plastic and styrofoam ban for his city. He joined local environmental activist Andrew Otazo on Sundial; Otazo's been leading volunteer groups for plastic trash clean-ups in Biscayne Bay. They discussed the policies being put in place by local governments to reduce plastic pollution and the realities of trying to live plastic-free. Coral Gables Vice Mayor Vince Lago and environmentalist Andrew Otazo on Sundial. WLRN: Mr. Lago, in order to get plastics out of our lives, should we depend on the government or should that be a personal responsibility? LAGO: We needed to take a drastic measure. I think that we should be able to engage the residents and legislate on behalf of those residents. I think sometimes in government we need to take measures that will leave a lasting effect like we're having currently with the plastic bags and polystyrene. Andrew, should it be just a personal responsibility or should we have cities like Coral Gables? OTAZO: It's a multipronged approach that you need to take but it needs to include everything. You yourself go into the beach and not throwing your trash in the ocean, not going to Publix and double bagging or buying recyclable materials at the very least and actually then recycling it. But also at the city level, municipal level, county level and state level ... also bringing in local businesses. I've picked up, to date, three and a half tons of almost exclusively plastics from the mangroves. What got you into [picking up trash from mangroves]? You can talk about it at an academic level that we have this massive problem in South Florida, plastics washing ashore, whether it be in the mangroves or other shorelines, but I saw it and I would go in there and it was just breathtaking and you'd look around and every square foot had trash on it. Mr. Lago, now there are a couple of bills in Tallahassee ... to ban the bans. They don't want the home-rule. What are your thoughts on these bills and have you talked to anybody in Tallahassee about this? LAGO: No I haven't had the pleasure of talking to them, but I think it's absolutely ridiculous. It's our responsibility on a daily basis to deal with our residents, not the individuals that are in Tallahassee. We are responsible and we are on the ground. I am talking to the residents every single day who are telling me that this is an exceptional idea. Let me give you an example, the ban needed to happen because we were being bullied by lobbyists and state officials who are not willing to take a step forward in cleaning up our beaches. What we're doing is we're incentivizing it via tax reductions to the businesses, but we don't even need to do that because they're seeing a progression as residents. 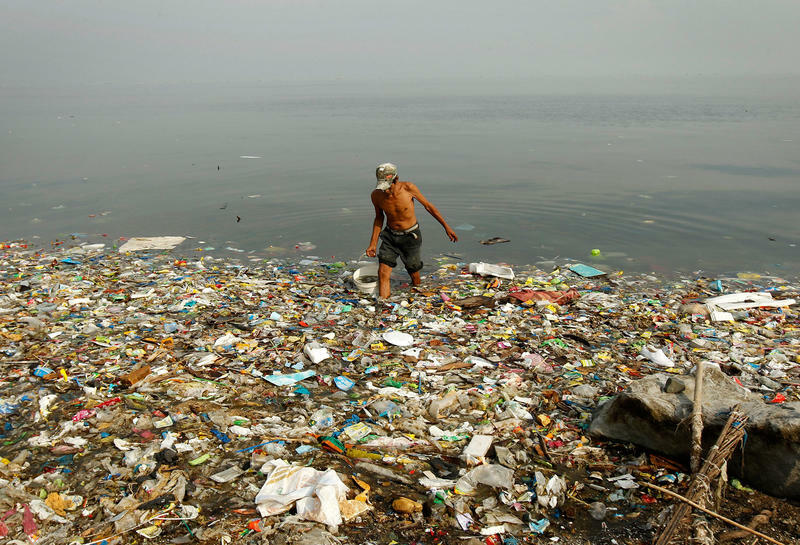 Some businesses like restaurants and the food industry depend on plastics. Did you get any pushback at all? LAGO: We were not heavy handed. We gave everyone one year to use their existing stock. So it wasn't from one day to the next. Delray Beach commissioners voted Tuesday to ban single-use plastic straws in restaurants by mid-2020. The city is the first in Palm Beach County to pass this kind of ordinance. Competing bills that concern regulating plastic straws and bags have also reached the state Legislature.